Planetary debris disks, or protoplanetary disks, are some of the most interesting phenomena in astronomy – these giant clouds of dust and gas surrounding young stars are the birthplaces of new planets. 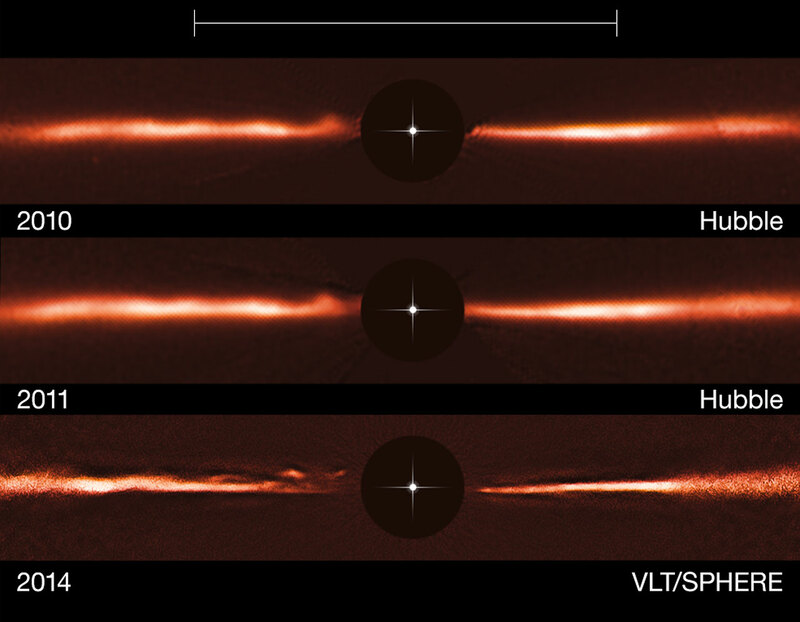 Now, astronomers studying one of these disks have found structures never seen before, giant “ripples” which are arch-like or wave-like in appearance. The closest star system to our own Sun may have two Earth-sized exoplanets orbiting it, a new study has shown based on observations by the Hubble Space Telescope. 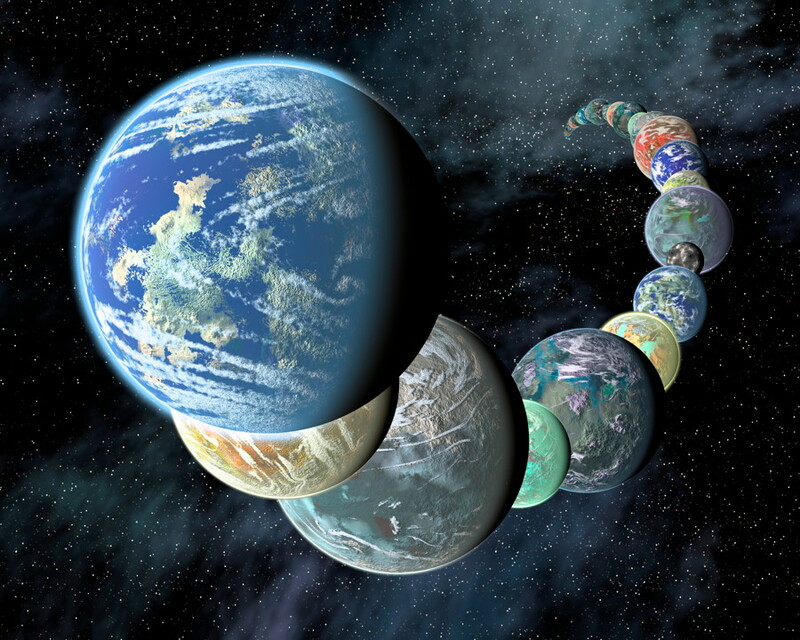 If confirmed, the discovery would help to illustrate just how common exoplanets are; data from Kepler and other telescopes has also already shown that the vast majority of stars have exoplanets orbiting them, and the number of exoplanets in our galaxy alone is now thought to number in the billions. The planets and moons in our Solar System come in a wide variety of colours, and the natural beauty can be breathtaking. 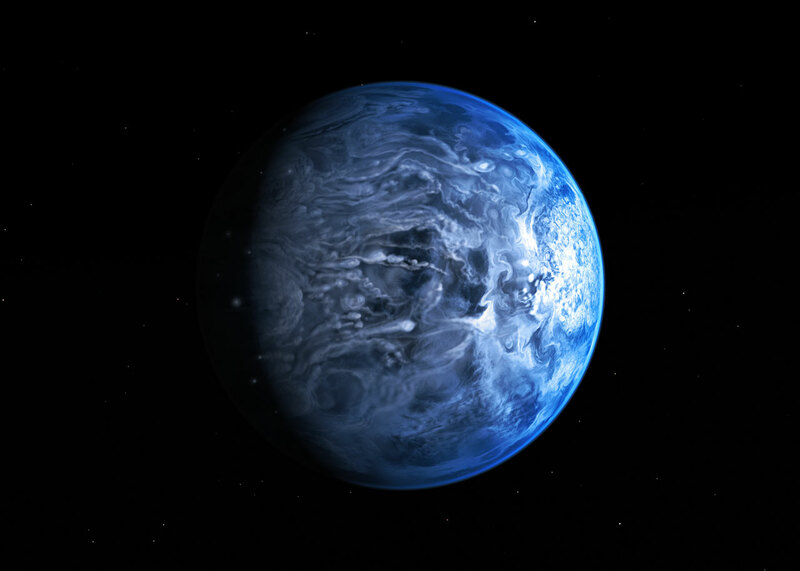 Now, the true colour of a much more distant planet has been seen for the first time – and it’s blue! 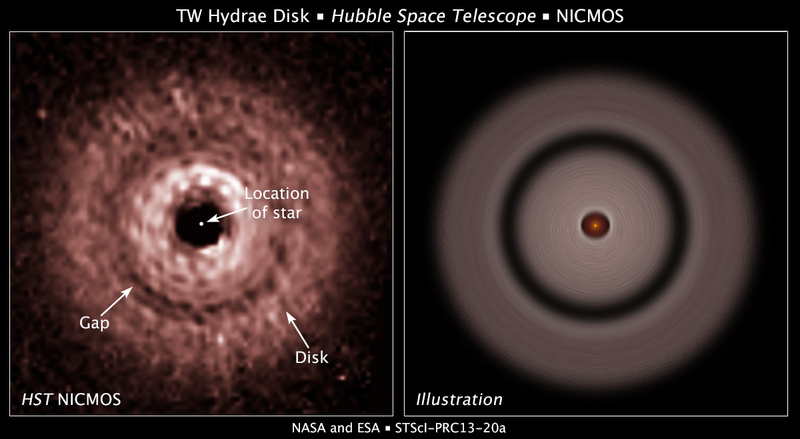 Hubble image and illustration showing the gap in the planetary disk surrounding TW Hydrae. 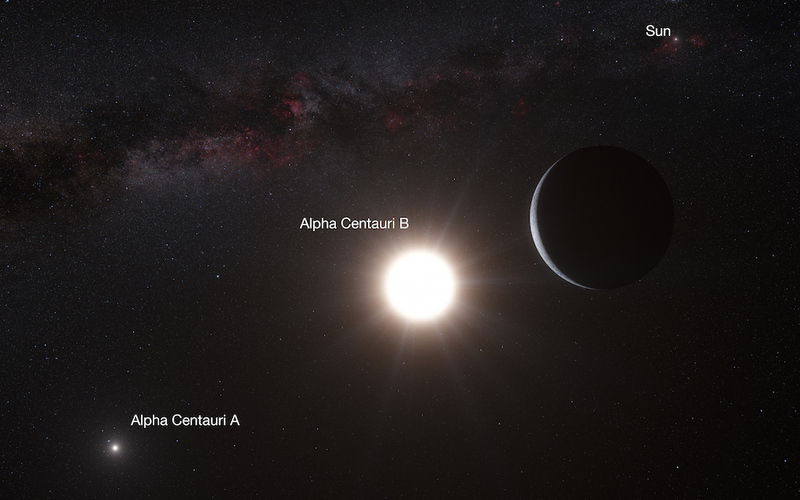 So far, thousands of exoplanets and exoplanet candidates have been found orbiting other stars. As well, astronomers have seen some exoplanets still in the process of formation, providing clues as to how our own solar system came to be. One of these recent “planet-under-construction” findings however is challenging current theories on planetary formation – it’s a planet which “shouldn’t be there” according to conventional wisdom. Among the many exoplanets now being discovered, Fomalhaut B was considered something special – the first exoplanet to be directly photographed in visible light, by the Hubble Space Telescope, back in 2008. That is, until more recent studies suggested that it might not be real, not even a planet after all.